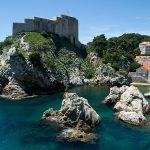 Fort Lovrijenac or St. Lawrence Fortress, often called “Dubrovnik’s Gibraltar”, is a fortress and theater located outside the western wall of the city of Dubrovnik in Croatia, 37 m above sea level. Famous for its plays and importance in resisting Venetian rule, it overshadows the two entrances to the city, from the sea and by land. 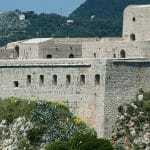 Early in the 11th century the Venetians attempted to build a fort on the same spot where Fort Lovrijenac currently stands. 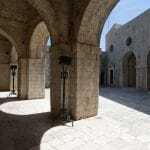 If they had succeeded, they would have kept Dubrovnik under their power, but the people of the city beat them to it. 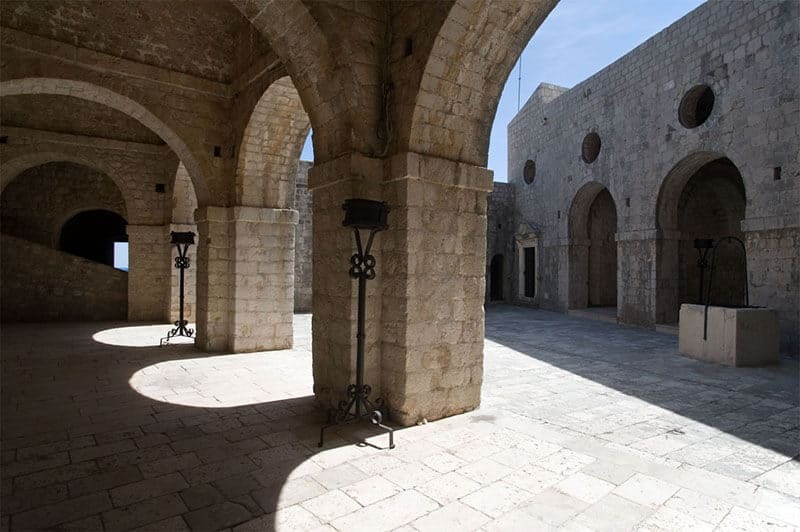 The “Chronicles of Ragusa” reveal how the fort was built within just three months time and from then on constantly reconstructed. When the Venetian ships arrived, full of materials for the construction of the fort, they were told to return to Venice. 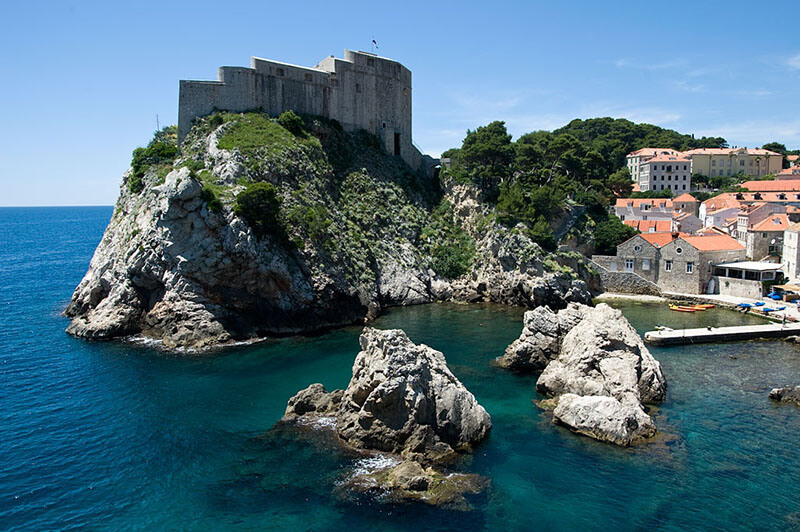 The Croatian leg of the Red Bull Cliff Diving World Series takes place in Lovrijenac. 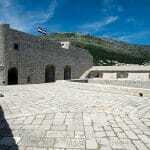 Lovrijenac has a triangular shape with three terraces. 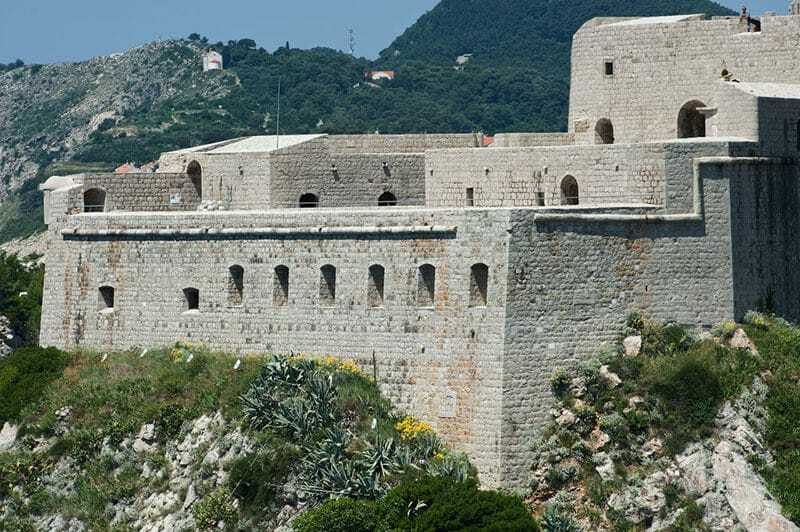 The thickness of the walls facing the outside reach 12 m whereas the section of the walls facing the inside, the actual city, are only 60 cm thick. Two drawbridges lead to the fort and above the gate there is an inscription Non Bene Pro Toto Libertas Venditur Auro (Freedom is not to be sold for all the treasures in the world). 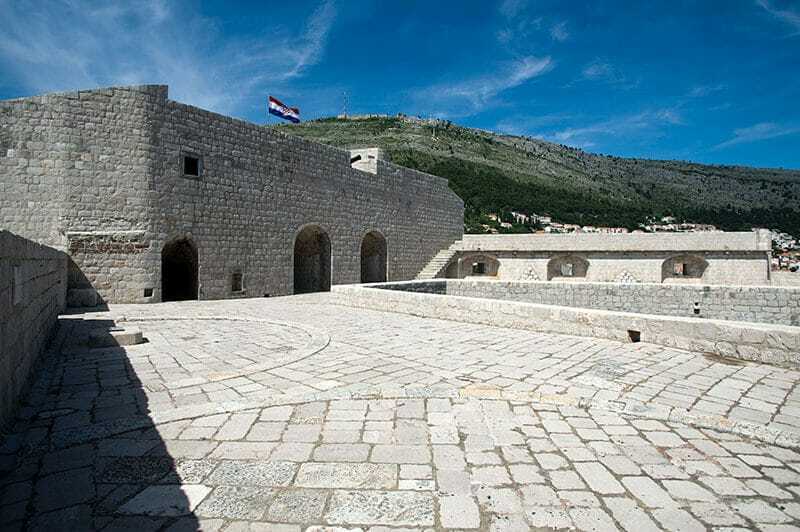 Lovrijenac’s use as a stage was a recent addition to the history of the fort, and the performance of Shakespeare’s “Hamlet” has become the symbol of Dubrovnik Summer Festival.